The Venezuelan people have suffered tremendously in the face of the nation’s economic crisis. Millions of people have been forced to leave their homes, face astronomic inflation, and are enduring the escalation of disease and hunger. While the situation has been and continues to be dire, people like you have generously opened your hearts and supported relief efforts in the area. Below are some of the most notable contributions you, along with other partners, have enabled, as well as on-going issues of concern and need for prayer. Christian women have made warm baby blankets for fleeing Venezuelan mothers. Several Christian organizations and individuals have established way stations throughout the area to provide food and shelter to Venezuelans seeking refuge. Baptist Global Response has provided food boxes, microenterprise training, and comfort to refugees fleeing the country. Various conditions have led to massive inflation. Meat product prices have gone up 900%, while a cup of coffee costs more than 50,000% more than it did just three months ago. 700 large business closed in 2018 due to rising costs of raw materials. Violence continues to be a constant threat, and child abandonment/homelessness has increased more than 50% in the last year. Hundreds of thousands of Venezuelan refugees are fleeing to surrounding countries, including Ecuador and the Caribbean Islands, placing a strain on those countries’ resources. Various illnesses and disasters have affected thousands. Cases of Hepatitis A have quadrupled in the past year. Flooding has killed at least 11 people, leaving nearly 12,000 without homes. 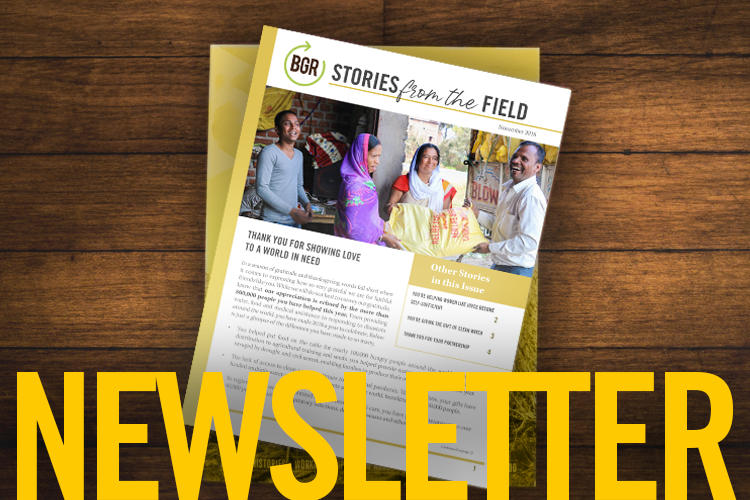 Pray for workers on the ground who continue to distribute food, provide shelter and meet basic human needs, while demonstrating the love of God to those most destitute. Pray for parents who feel forced to abandon the children they cannot feed or care for. Pray that they may find strength, comfort, and the resources to care for their families. When Volcano Fuego erupted in Guatemala, police officers, fresh from the first aid training you supported, rushed toward the hurting.